Hu Qing is a Lead Analyst with Drewry, she is responsible for Chemical and Gas (LNG/LPG) Forecaster reports and manages consultancy projects on liquid bulk shipping. She has more than 10 years of liquid bulk market research experience. Hu Qing joined Drewry in 2015, having more than 10 years of liquid bulk market research experiences in shipbrokering companies. She set up the research desk of SPI Marine Asia, and spent almost 8 years there working as freight market analyst of liquid chemical chartering shipping, covering chemical, vegoil, molasses and clean petroleum shipping markets. She worked in ICAP Shipping Singapore as a senior analyst for the DPP, CPP, liquid chemical, LPG, LNG shipping markets. Prior to that she has worked in Shanghai Ship & Shipping Research Institute as an analyst, participated in many projects in shipping and logistics field. 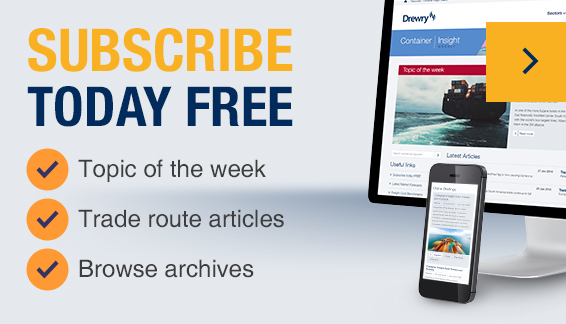 Since joining Drewry as Lead Analyst in May 2015, Hu Qing has improved the Chemical Forecaster, overviewed the quality of gas shipping market report, and participated several consulting assignments covering chemical tanker shipping market. Hu Qing holds a Master of Science degree in Transportation System and Management from National University of Singapore and Bachelor’s degree in International Trading and Shipping Management from Wuhan University of Technology in China.